Ok moms, school is almost out and summer is almost here. What are you going to do? There is always a little bit of excitement that we have no set schedule, we can come and go as we please, and the thought of flip flops and shorts makes me happy. I always picture it going like this: everyone will sleep in a little bit, our days will be filled with sunshine and daisies (outside and inside), everyone will totally get along every waking second because we love spending all this extra time together. All the children will be smiling constantly because they don’t have to go to school. They will be so willing to help with chores and anything I might ask them to do, in hopes that we can all go out and spend some real quality family time together when the work is done. That is what I envision summer to be. Nope. Summer, at least at our house, consists of still waking up at 6 friggin AM, whining over chores, fighting, messes, and racing off to friends’ houses to play their video games because I’m “too strict” and “no fun” and a “mean mom”. But I still love it. I still love having the kids home and being all together and not having a schedule. I may be a “mean mom” at times, but I try to throw in some fun and I’m a sucker for traditions. 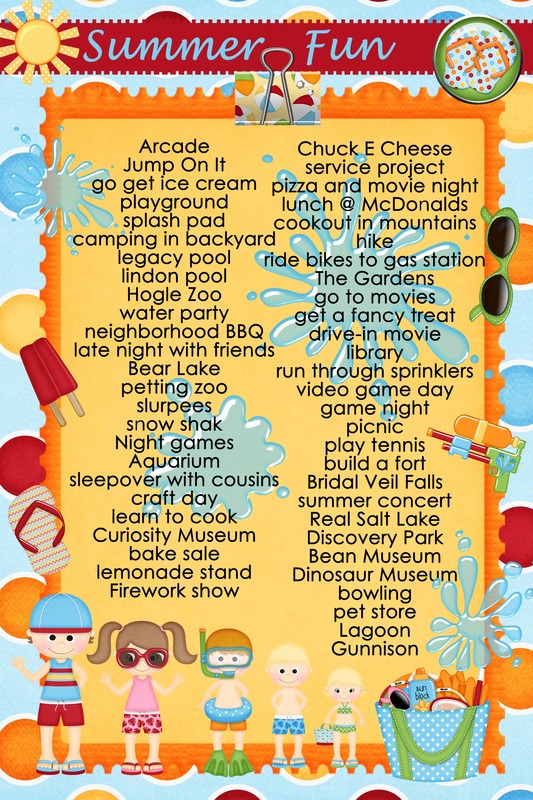 One of our favorite yearly traditions is our Summer Fun List. 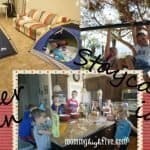 At the end of the school year, usually, the last day of school once they all get home, we all sit down together and come up with all the fun things we want to do for the summer. Some are small little things like getting a Slurpee or going to the park. Some are bigger events like our annual trip to Bear Lake with grandma and grandpa and the cousins. Everyone gets to have a say in what they want to do, and we have a fun time laughing and reminiscing about memories we made summers before while we make the new list. Most years our list relatively stays the same, but we add a few things to change it up here and there. When we’ve done something on our list we put a sticker next to it so that we can still see it, in hopes that maybe we can do it a couple times. Our Summer Fun List brings us closer together. We not only bond over making the list and laughing about memories of times we have had doing past summer activities, but we draw closer together as we go out and create new memories together. It is always fun to create new inside jokes or tell funny stories. Not every activity is eventful but some are. And it is those activities that the kids remember and will talk about for years to come. I encourage you to sit down and make your own Summer Fun List. It doesn’t need to be anything extravagant or fancy. I bought a cute digital pack off of Etsy and made ours in photoshop. You could go to the dollar store and get a piece of posterboard. It doesn’t matter. Write down your ideas. Make sure they are attainable and within your budget. The possibilities are endless. 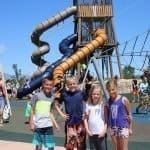 Find out if there is anything going on in your area this summer that might be fun and new and exciting that your family has never done before. Get creative and have fun with it. This life is all about creating experiences and memories, so make some! 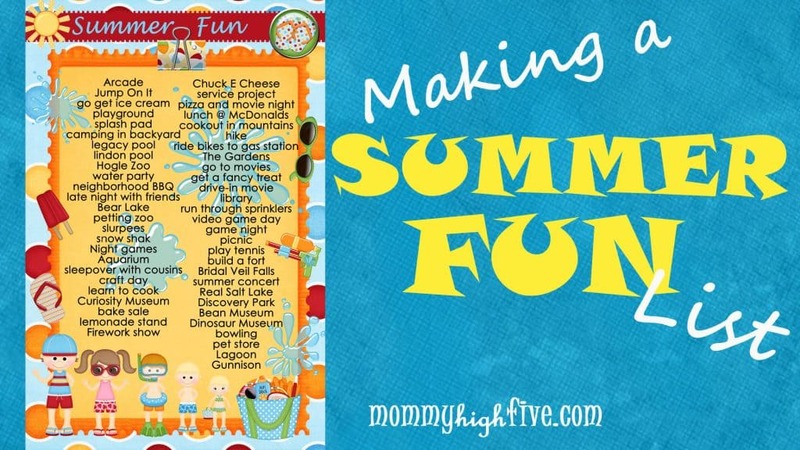 Be sure to leave me a comment and tell me what you are putting on your summer fun list. I’d love to know! Who Needs a Vacation when You Can Have a Staycation?